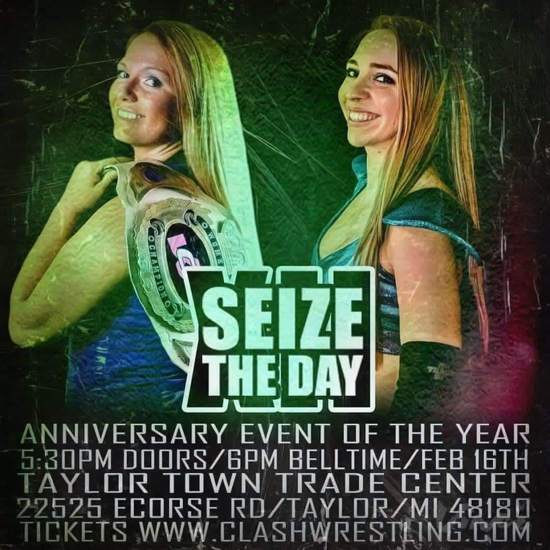 Seize The Day Match Announcement: Neveah (c) vs. Beautiful Bea! New year, new faces! Reigning CLASH Wrestling Women’s Champion, Nevaeh looks to continue her title reign when she competes against the debuting “Beautiful” Beaa (Beatrice Moscrip) on 2/16 in Taylor, MI! Last month’s All Out War event saw Nevaeh navigate her title defense through an interference by Allysin Kay (Allysin Kay / Sienna). Is there more to be expected between the interaction of these two? We’re sure the CLASHers in attendance hope so, but this remains to be seen. For #SeizeTheDay XII, Nevaeh will need to remain focused as Beaa is no walk in the park. Beaa coming into her 7th year of traveling the independent circuit is certainly looking to make a name for herself to Michiganders, and what better way than with a win over Nevaeh? Who will “Seize The Day” on Saturday, February 16th? Join us to find out. 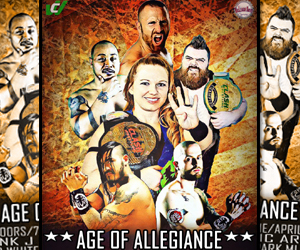 Tickets available now at CLASHWRESTLING.COM!